The United Nations projects that the global population will rise to more than 9.7 billion in 2050 and will exceed 11.2 billion by 2100. 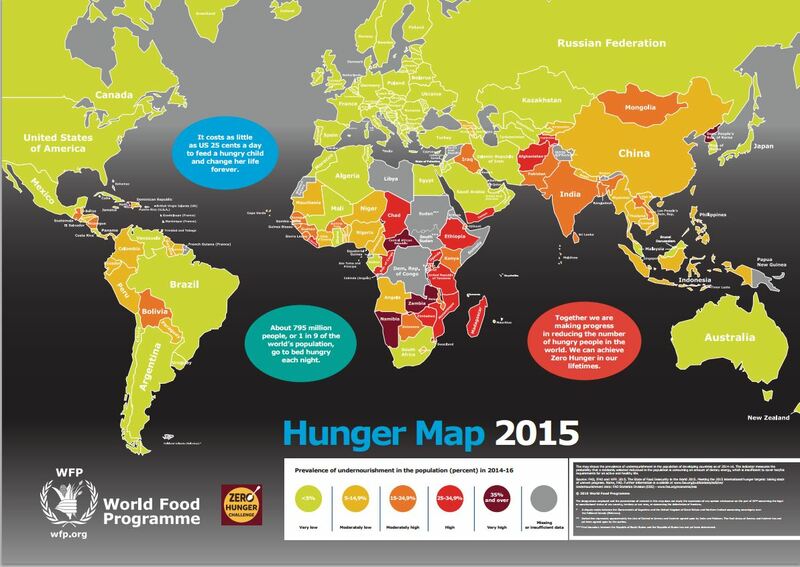 However, access to food remains an issue for many around the globe. An estimated 780 million people were undernourished across the world in 2014–16, according to the UN’s Food and Agriculture Organisation (FAO). In contrast, a recent study showed that about 640 million people – mainly from high-income countries – are overweight or obese, including 375 million women and 266 million men. At the same time, rising demand for food is putting additional pressure on the environment and natural resources, with agriculture ranking among the heaviest emitter of greenhouse gases, which are warming up the planet. The latest FAO estimates show emissions from agriculture, forestry, and fisheries have nearly doubled over the past fifty years and could rise by an additional 30% by 2050 if measures are not taken. Total annual emissions from agriculture hit a record 5,335 metric tons of CO2 equivalent in 2011, almost 9% higher than the average during the previous decade (2001-2010). Asia comes first with 44% of agriculture-related greenhouse gas emissions, followed by the Americas (25%), Africa (15%), Europe (12%), and Oceania (4%). 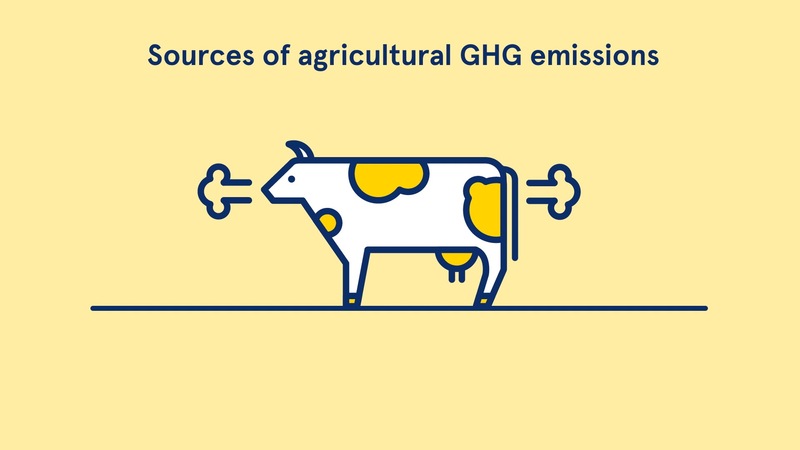 At the EU level, agriculture accounted for 10% of the EU’s total greenhouse gas emissions in 2012. And a significant part of those are due to meat consumption. Producing 1 kilo of beef generates 65 times more CO2 than producing 1 kilo of potatoes because of the water, fuel, pesticides and fertilisers that are needed to grow animal fodder. During digestion and excretion, livestock also releases methane, a gas 23 times more powerful than carbon dioxide. The EU is the second largest producer of meat in the world and Europeans eat over 86 kilos of meat per person each year. If Europe were to cut its meat and dairy intake by half, net greenhouse gas emissions from agriculture would decrease by 42%, experts believe. And as the global middle class expands, more people are turning to meat. According to the Food and Agriculture Organisation of the United Nations (FAO), growing populations combined with the rising urbanisation result in increased demand for livestock products, particularly in developing countries. “Global demand is projected to increase by 70% to feed a population estimated to reach 9.6 billion by 2050,” FAO claims. 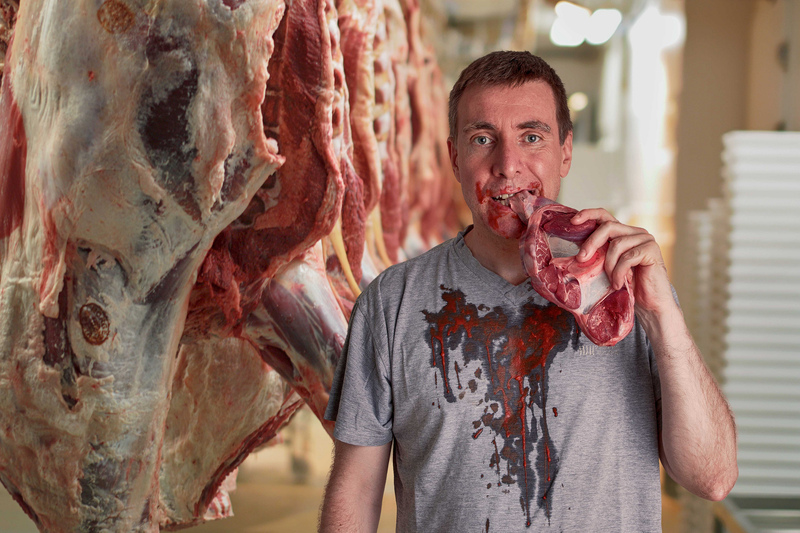 A report published in November 2015 by Chatham House, and the Glasgow University Media Group, examined the interconnection between meat and dairy consumption with climate change. It concluded that nearly one-third of the world’s cultivated land is being used to grow animal feed. In the EU alone, 45% of wheat production is used for this purpose, with 30% of overall use met by imports. SPECIAL REPORT / The overconsumption of meat will inevitably push global temperatures to dangerous levels, a recent study has warned, urging reluctant governments to take action. Because it stands at the junction between economic, social and environmental issues, agriculture has a special role to play in fulfilling the United Nations 17 Sustainable Development Goals (SDGs), adopted in 2015. A majority of those goals, to be achieved by 2030, are directly or indirectly related to farming. They range from ending poverty to achieving gender equality and empowering women and girls. “Agriculture needs to be an integral part of the solutions for the 2030 Agenda for Sustainable Development, which requires a systems approach,” said Achim Steiner, the UN Under Secretary General and Executive Director, speaking at the 9th Annual Forum for the Future of Agriculture (FFA) in Brussels this year. “The way we think about food, and the way we produce food, has to adapt accordingly,” added Phil Hogan, the EU's Agriculture and Rural Development Commissioner. "We already produce enough to feed the world," Hogan stressed, saying there is enough land and water available to make it happen. Besides, “ we already have much of the technology and know-how to tackle both hunger and climate change," he added. However, more than 30% of food production is wasted, Hogan remarked, saying tackling waste across the agriculture and food supply chain should be addressed as a matter of priority. Policymakers are currently discussing the priorities of the post-2020 Common Agricultural Policy, how it could adjust to global challenges, and help EU farmers compete worldwide. Many agree that the EU should play a leading role in pushing the UN Sustainable Development agenda by transforming its agricultural model in a way that simultaneously addresses rising demand for food and reduces environmental impact. 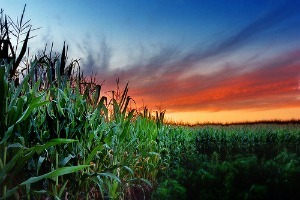 “Producing more with less," an often-repeated refrain, is now touted by lawmakers as the top priority for agriculture. But instead of addressing such long-term trends, European farmers have increasingly found themselves fighting immediate crises, hit hard by the Russian food embargo and sluggish Chinese demand, which have hit European exports and exposed the sector's fragility. The European Commission has tried finding new export markets for EU agricultural products but has struggled to contain falling prices caused by oversupply. 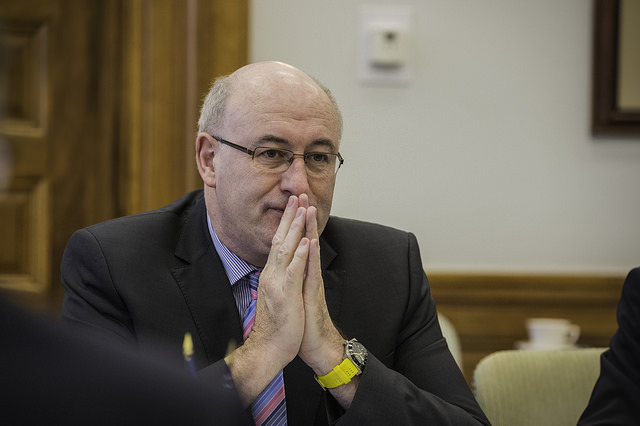 Agriculture Commissioner Phil Hogan has launched a “diplomatic campaign” to deliver the promise of an export-driven Common Agricultural Policy (CAP), but trade complexities have so far prevented any breakthrough. Agriculture Commissioner Phil Hogan has launched a “diplomatic campaign” to find new markets for EU products. But external trade complexity and an unbalanced internal market pose serious challenges for the executive. Still, the EU believes emerging markets offer a huge opportunity. For Hogan, there is clear evidence of changing dietary habits in Asia as disposable incomes increases. With the global middle class expected to grow from 2 billion today to close to 5 billion in 2030, this should provide new opportunities for European farmers, he assured. “Rapid growth in China, India, Indonesia, Vietnam, Thailand, and Malaysia will cause Asia’s share of these emerging markets to more than double from its current 30%,” Hogan said at the Agricultural Outlook Conference on 6 December. The fallout for employment could be significant. According to the latest figures, farming employs 22 million people in the EU and, together with the food sector, provides 44 million jobs. In the meantime, Hogan said the Commission was determined to support producers using all the instruments at its disposal, including direct support schemes, market safety nets, and rural development programmes. “This allows us to be competitive while also maintaining the innovative values of European farming, including the family farm model […] as I've said repeatedly, without the producer, we don't have the product which is essential if we are to address the issue of food security,” he said. 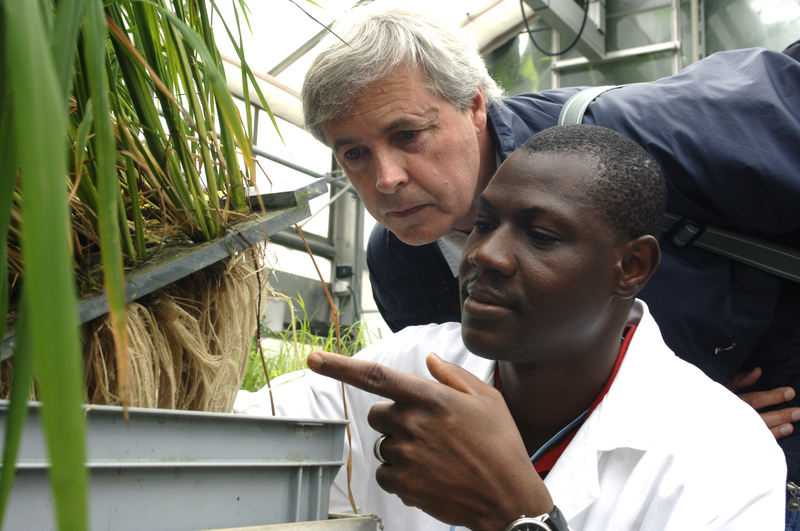 A recurring theme is the place reserved for science and innovation in driving sustainability goals for agriculture. Genetically modified organisms (GMOs) have dominated the debate about agricultural innovation in Europe, where public opposition to biotechnology is deeply rooted. GMOs can only be cultivated or sold for consumption in the EU after going through a scientific risk assessment. But the European Commission now also grants member states the “flexibility” to ban the commercialisation of GMOs on their territory on ethical grounds, even if they have already been approved at EU level. The European Union has agreed on a new approach to the cultivation of Genetically Modified Organisms (GMO) which allows member states to ban or restrict GMOs in their territory. The agreement should mark the end of a decade of legal problems, but in the context of ongoing EU-US free trade negotiations, vocal GMO opposition from member states and civil society is unlikely to subside. 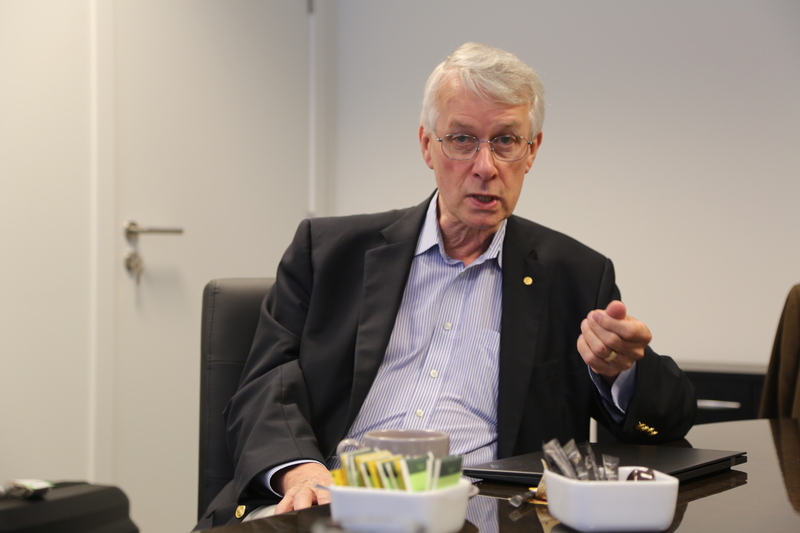 In a recent interview with EURACTIV, Sir Richard Roberts, a British Nobel Laureate biochemist, and molecular biologist accused EU politicians of ignoring “politically unwelcome” GMO science. “It does seem to be true that EU politicians support a great deal of scientific research and yet they often don’t pay attention to the results if they are politically unwelcome,” he said. “This makes me wonder why they support so much science if they don’t want to listen to the results." Sir Richard Roberts accused Green parties and campaign groups of manipulating public opinion, saying “For the most part though scientists do tend to stick with facts and do not get away with lying". In fact, the Commission itself admitted that its policies were sometimes driven more by public opinion than by science. A recent example is the Commission proposal to phase-out first generation biofuels, which are singled out for causing deforestation and hiking food prices in countries like Indonesia, displacing agricultural land that would otherwise be used for farming. The EU's approach to biofuels is a purely emotive reaction to “food versus fuel”, admitted Marie Donnelly, a senior director at the Commission’s DG Energy. “We cannot just be led by economic models and scientific theories […] we have to be very sensitive to the reality of citizens’ concerns, sometimes even if these concerns are emotive rather than factual based or scientific,” said Donnelly, who spoke at a European Parliament conference in October. The European Commission’s proposal for a gradual phase-out of conventional biofuels was based on public opinion, an EU official admitted. Related to the GMO debate are so-called new plant breeding techniques (NBTs), which have reached a stalemate at EU level. The European Commission has several times delayed a legal analysis on whether they should be considered GMOs or not. New breeding techniques focus on developing new seed traits within a given species through genetic engineering. 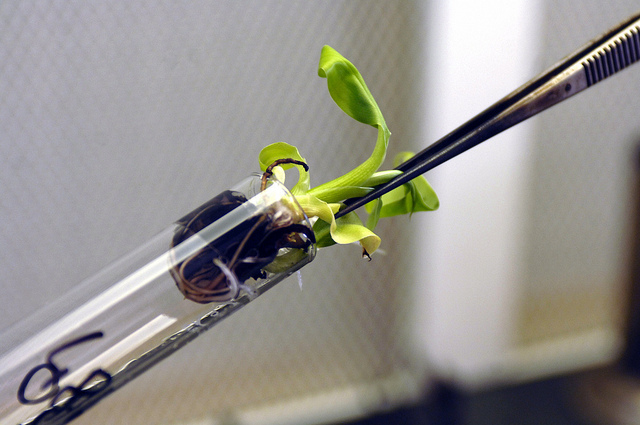 Backers of the technology say NBTs should not be considered GMOs because there is no foreign DNA present in the resulting plants, which might have developed naturally. To opponents, they are just another attempt at selling GMOs to Europeans through the back door. New plant breeding techniques: Innovation breakthrough or GMOs in disguise? SPECIAL REPORT / 'New plant breeding techniques' focus on developing new seed traits within a given species through genetic engineering. A troubling question for policymakers is whether these techniques should fall under GMO legislation. For many in the agri-food business, biotechnologies are crucial to the sustainability of agriculture because they can improve the sector's productivity, secure bigger yields and produce higher quality crops. “We strongly believe that food and environmental security are indivisible…that is to say, we have no chance of achieving one without the other,” said Jon Parr, chief operating officer at Syngenta, the Swiss agrochemical giant. “The technological advances in the plant sector have the potential to enable further contributions towards food and nutrition security and increase the harvest of main crops by 76 million tons using innovation in plant breeding by 2030,” said Aleksandra Małyska, from the European Technology Platform 'Plants for the Future', a multi-stakeholder forum. In the US, authorities have established that NPBTs do not contain foreign DNA and should therefore not be subject to GM regulations. “The EU cannot afford to lag behind,” argued Teresa Babuscio secretary-general of COCERAL, the European association of trade in cereals, rice, feedstuffs, oilseeds, olive oil, and agro-supply. The Pan-European Farmers’ Association (Copa-Cogeca) said on Thursday (28 July) that innovation in plant breeding should be further encouraged in order to help the EU combat hunger and malnutrition worldwide. “Legal analysis shows that they are covered by EU GMO law. If they were to escape EU regulations, any potential negative effects on food, feed or environmental safety would go unchecked," the NGOs wrote, saying European consumers, farmers, and breeders would have no way to avoid GMOs. "The Commission should leave no doubt that all products of genetic engineering are subject to EU GMO law which requires a rigorous risk assessment, detectability, and labelling,” they claimed. According to campaigners, innovation is not just about techno-fixes. For the Federation of Organic Agricultural Movements (IFOAM EU), organic farming can also be seen as a “driver for innovation" because its complexity requires a very high level of knowledge and skills. Eduardo Cuoco, Director of the IFOAM EU, told EURACTIV.com that technology is important but only represents one aspect of innovation. Agriculture research should not only be focused on techno-fixes, he argued, emphasising the importance of participatory research involving the farmers themselves. Such participatory research "ensures that innovation corresponds to the demands of society and to the needs of actors in the food chain", Cuoco argued. “The organic movement believes in the importance of the precautionary principle as a policy-making tool," he said. Besides, many innovations – such as many pesticides – were first deemed safe and only later recognised as having dangerous side effects, he pointed out. Today, organic farming plays an increasingly bigger role on the world’s agricultural stage. In the European Union, the use of organic agricultural land has almost doubled in recent years. At the end of the day, the controversy surrounding biotechnology and agro-chemicals cannot be solved only through scientific evidence, policymakers say. "It is no longer about the accuracy or the truthfulness of science," says Bernhard Url, executive director of the European Food Safety Agency (EFSA), based in Parma. "You can have the very best science but still it can be unacceptable for society," he told EURACTIV in an interview. For Url, agriculture and food have become a proxy for a much broader societal discussion where science meets beliefs and the economic interests of big multinationals. He cited the ongoing EU-US trade talks where GMOs, hormone beef, chlorine-washed chicken and the protection of local food products all came up as major sticking points. "There is this interface: when science meets values, ethics, beliefs, religion, even economic interests. This is where it really gets complicated," Url said, adding it was up to politicians, not scientists, to decide on such complex issues. But for lawmakers, the task can be daunting. Mairead McGuiness, an Irish MEP from the centre-right European People's Party (EPP), noted the growing importance of science in making policy decisions. Referring to the recent debate on glyphosate, she said it was a good example of how scientific disagreement over the risk posed by the chemical substance generated doubt in public opinion. She urged scientists to talk more openly about their findings and give policymakers time to read and reflect on those findings. "It is becoming more and more difficult to have informed and open public debates on science in policy making. But we need to continue to try to have that debate,” she said. “However, in today’s world where social media is instant and there are demands for comment on controversial issues, it can be difficult to strike the right balance between scientific findings and public opinion formed by a one-sided view of new developments," McGuiness said. With the seemingly never-ending dispute surrounding agro-chemicals and biotechnology, the growing trend towards automation in agriculture may prove less controversial. Guided by satellite signals, machines can increasingly function without human intervention. They are also more reliable than humans when it comes to applying fewer and more targeted quantities of pesticides, fertilisers or water, helping to minimise the environmental impact of farming. But technological breakthroughs take time to find their way to the field because they are still costly for farmers who need time to adopt them. And the legal framework also needs to be updated. “We have, for instance, still the legal obligation of having an operator present on a farm machine, even when it’s a highly automated one," said Ulrich Adam, Secretary-General of the European Agricultural Machinery Industry Association (CEMA). "However, once the robotic technology has matured and we have the science behind that shows that small farm robots can move with a minimum of human supervision, I am confident the rules for operation will adapt accordingly,” Adam assured. In fact, many believe the introduction of digital technologies in farming will be one of the keys to the sector's long-term sustainability. 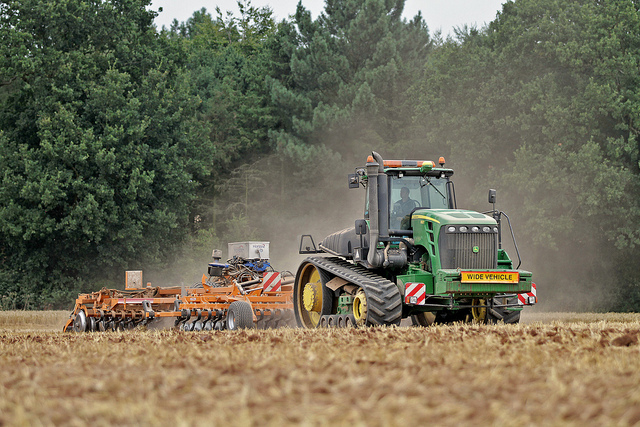 According to the Commission, so-called precision farming will help increase productivity as well as reduce the environmental impact of agriculture, based on the need to “produce more with less”. Precision farming is based on the optimised management of inputs in a field according to actual crop needs. It involves data-based technologies, including satellite positioning systems like GPS, remote sensing, and the Internet, to manage crops and reduce the use of fertilisers, pesticides, and water. But connectivity is still an issue for many farmers in Europe who do not have access to broadband. Europe has 13.7 million farmers and an average farm size of about 12 hectares but online connectivity for these rural and remote businesses varies greatly across the European Union. In a survey conducted by the EU executive in 2015, young farmers said missing or unreliable Internet connections were a major hindrance to obtaining information related to their sector. A recent EIP-AGRI focus group on Mainstreaming Precision Farming found digital farming faced with a number of challenges, such as lack of broadband infrastructure, affordability, and the development of digital skills for the rural population. The report pointed out, among others, that precision farming needs the cooperation of all stakeholders, as well as the training of special advisers who will be able to make innovation a reality on a farm. “Regional training and awareness are essential to reach advisers and small and medium-sized farms, as many farmers believe that precision farming is not profitable in small farms,” the report said. 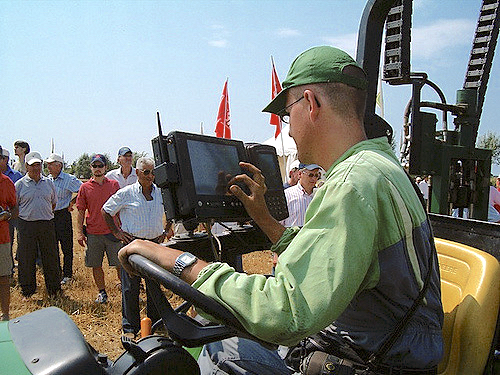 Internet connectivity has become vital to modern agriculture. Jörg Jasper, a researcher at the fertiliser company Yara, downplayed the issue, saying even small rural farmers now have smartphones and an Internet connection. “So, for the solutions we are offering today, this [web access] is not a limiting factor,” he said. But as agriculture increasingly enters the digital era, rural areas should be better equipped with a more sophisticated Internet infrastructure. 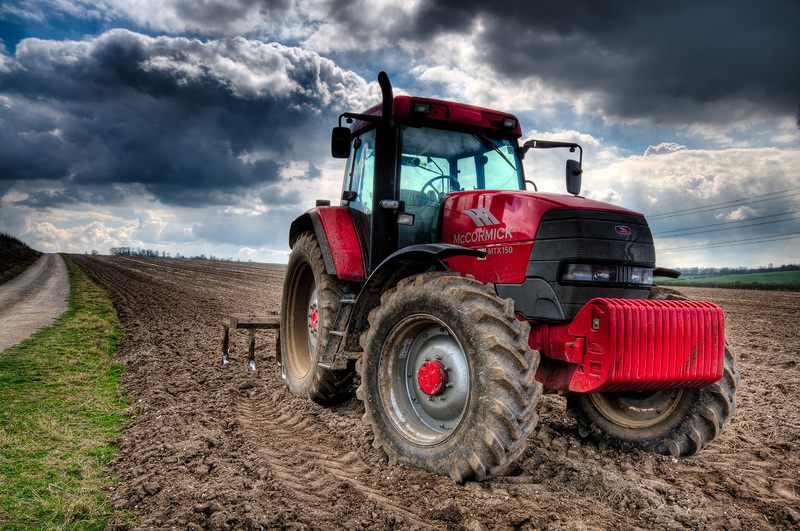 “In the future, we foresee that even on our machinery, on the tractor for example, we may have more or less a permanent internet connection when such a machine is doing work out on the field […] so that it retrieves additional information about the soil and the field from the internet and use it together with the sensor measurement for example to make even better recommendations than we can do today,” he emphasised, adding that we are still away from that. Farm Europe, a think tank, believes that considering the low level of profitability of EU farms, digital farming should be supported both via investment support and strong political incentives. “Both pillars of the CAP could be mobilised to encourage investments in new techniques. 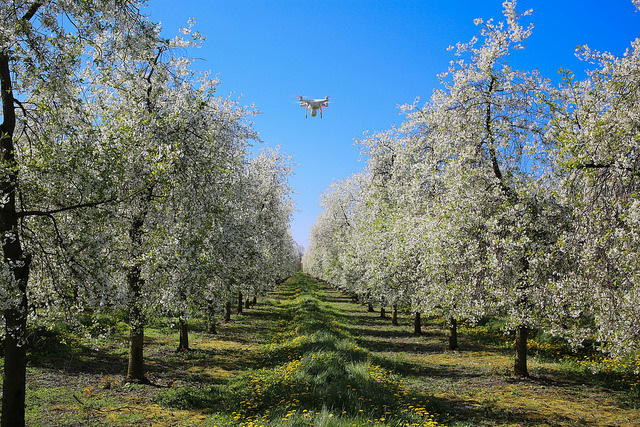 Via the greening, the EU could promote digital farming, recognising these technologies as a proper way to contribute to climate objectives,” Luc Vernet said, adding that an EU-wide investment plan targeted on new technologies via rural development programmes is needed. Faced with raw materials scarcity due to climate change, food and drink giants have turned to a sustainable management in order to protect the environment and ensure their future viability. 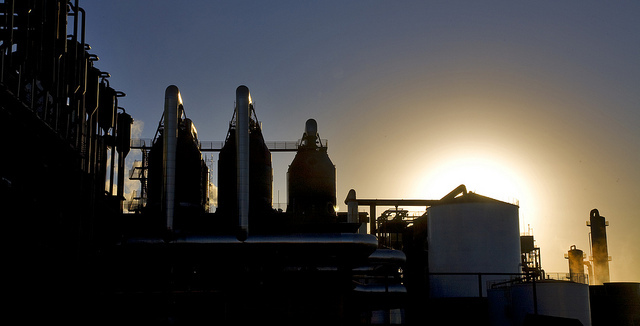 A survey published in July by FoodDrinkEurope, the industry’s main trade body, showed the sector managed to reduce its greenhouse gas emissions by 22% between 1990 and 2012. Fuel consumption was slashed by 65% during the same period, resulting in 4.168 Gg of avoided CO2 emissions, according to stats from the European Environment Agency (EU-15 only). Most agri-food giants have set up partnerships with farmers aiming to ensure the sustainable sourcing of their products and raw materials, taking account of environmental, social and economic considerations at the same time. Agri-food giants like Unilever, Yara, and Monsanto have committed to sustainability and adopted plans to promote socially and environmentally responsible farming practices. Syngenta, for instance, has put forward its Good Growth Plan, an innovation-driven strategy aligned with the UN’s SDGs. Its objective is to make a measurable contribution by 2020 on six commitments focusing on making crops more efficient, rescuing more farmland and enhancing biodiversity. 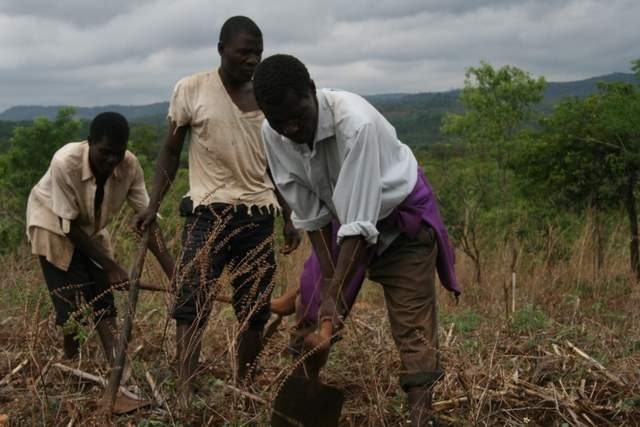 Protecting and empowering smallholders also take center stage. But environmental activists strongly criticise the agri-food industry activities, pointing to their excessive influence on global commodity markets. Stanka Becheva, food and agriculture campaigner at Friends of the Earth Europe, told EURACTIV that deregulation in agricultural markets over the last 20 years had led to the increased concentration of the food chain into the hands of a few corporate giants who "now are controlling the chemicals, seeds, trading, manufacturing and retailing of our food system". Greenpeace believes that these partnerships with the agri-food industry result in an increased dependence of smallholders. Greenpeace EU agriculture policy director Marco Contiero told EURACTIV that G8 governments’ investments in developing countries’ agriculture had led country beneficiaries of international funds to modify or put in place biosafety legislation to set up the right legal framework allowing agro-chemical companies to market their patented seeds. “These countries do not need (GM) seeds, even if it is true that they have very poor quality seeds, but their problem is that they don’t have silos to store their harvests, nor streets to bring their harvest to the market, nor functional markets where to sell their products,” he commented. What do agriculture experts say? In an attempt to unlock the debate, EURACTIV asked agriculture experts for their opinion on whether science can coexist with public opinion when it comes to agriculture policy. Despite differences over process, all backed innovation-driven policies in agriculture to meet nutrition and environmental challenges. Luc Vernet is a senior advisor at Farm Europe, a think tank focused on farming issues. For Vernet, the EU has a double role: First, provide third countries with assistance to develop their own agricultural capacities and secondly, as the “best place in the world to produce food”, the EU should contribute itself to the food security challenge. He added that the transformation of the agricultural models should be based on diversity, taking into account organic farmers, conventional farmers as well as the new trend of “digital farming” which could significantly help produce more with less. For Beat Späth, Director of Agricultural Biotechnology at EuropaBio, agriculture has an essential role to play in reducing hunger and poverty worldwide. He stressed that farmers should be granted the proper tools to produce “more and better” in order to feed themselves and a growing global population. “We believe that a lot of farmers do not have access to the tools they need […] for instance many countries ban the GMOs. The problem is that politics often overrules the science and we think that we should change,” he emphasised, adding that only with innovation-driven solution agriculture will be able to meet the sustainability goals. He also noted that biotechnology has improved plant breeding to a significant extent, and he urged EU politicians to provide farmers with access to this technology that “has a positive impact on the environmental sustainability goals as well”. Marco Contiero, Greenpeace's food and agriculture director, stated that agriculture has a central role to play mainly because it has a widespread impact on human beings. “Industrial farming is responsible for polluting soils and waters, decreasing biodiversity […] this is a not a resilient system as it cannot stand climate shocks,” Contiero said. The Greenpeace activist added that what was needed is a different system based on ecological farming. “We need a radically different food and farming system based on diversification of farming, we need mixed crops and varieties of these crops in the same field, we need to start using biodiversity to make our farming functional, he said. “Instead of using chemical pesticides, we may start boosting beneficial organisms and pollinators for example." Referring to the digitisation of agriculture, he stressed it was good to make systems more efficient, however, if it’s used only by industrial farmers then it’s not going to give the solutions needed. He also noted that Greenpeace was in favor of the use of modern biotechnologies, including genetic engineering, when it comes to the industrial and medical sector. He also added that the debate currently in the EU was not about science but technological products and the specific risks that the use of these products can pose. “Decision-makers and not scientists should make decisions based on the result of the testing, the assumptions of it, the scientific uncertainty and the discrepancy among scientists as well as other factors like ethical considerations,” Contiero concluded.